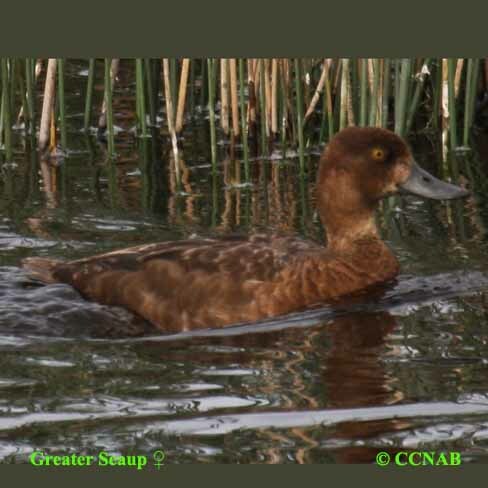 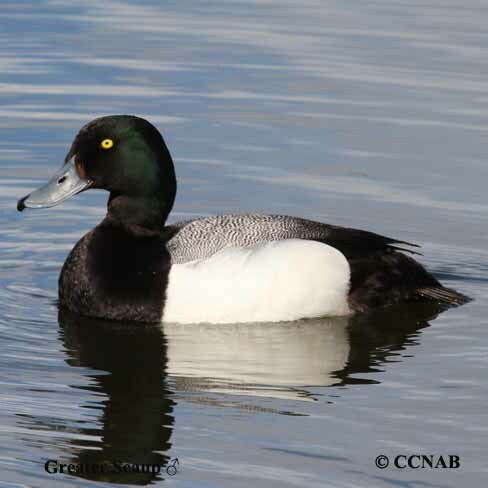 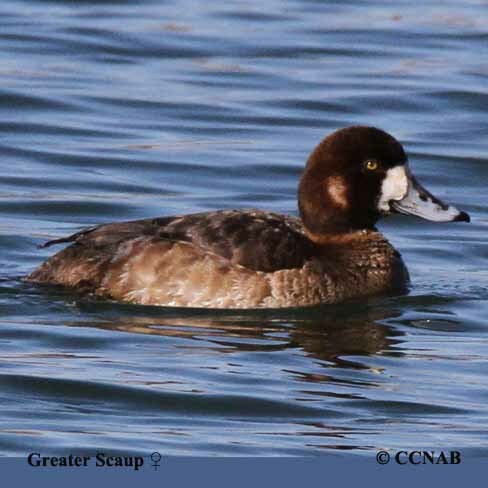 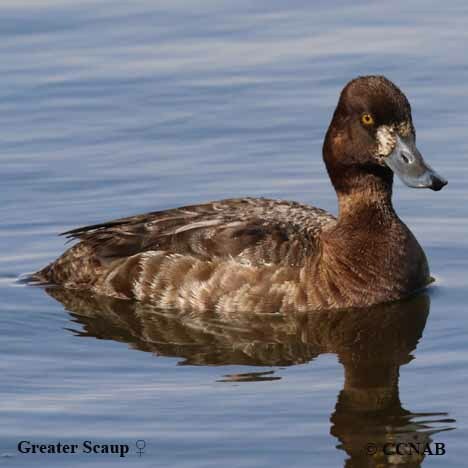 Greater Scaup is the larger of the two types of scaups seen in North America, the other being the Lesser Scaup. 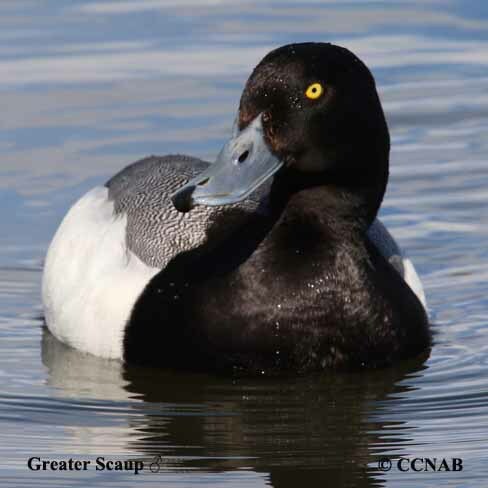 This ducks are also kown as the Blue Bill. 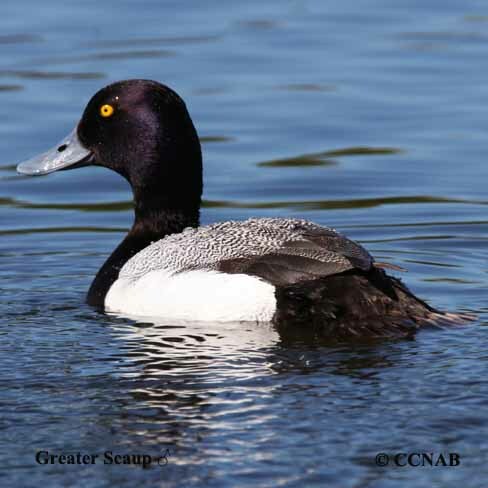 During spring and fall migrations, these waterfowl are seen in large rafts of its own species.